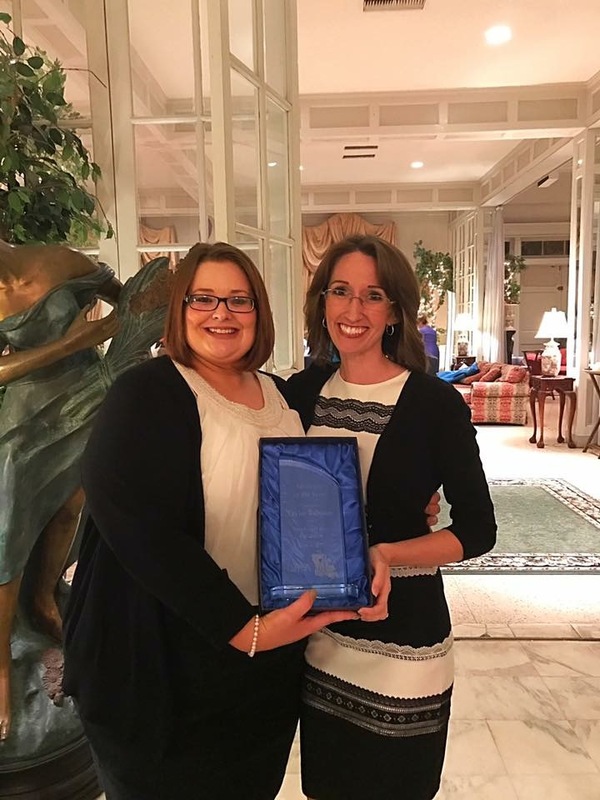 Chez Hope Family Violence Crisis Center is proud to announce that the winner of the 2017 Louisiana Coalition Against Domestic Violence and Louisiana Foundation Against Sexual Assault Advocate of the Year Award is Taylor Robison. Miss. Robison has been a Legal Advocate with Chez Hope since 2013 and is the new Program Coordinator for Chez Hope’s Iberia and St. Martin Parish offices. Her passion for work against Domestic Violence is outstanding and the award from LCADV and LaFASA acknowledges her above-and-beyond efforts. Miss. Robison’s close work with law enforcement and other community partners has proved wildly successful. She pioneered Chez Hope’s Kisses for Cops program and expanded it into baking cookies and brownies for officers and others who go the extra mile or put forth the extra effort to help victims of Domestic Violence. Miss. Robison was instrumental in partnering with the Lafourche Sherriff’s Department, St. Mary Parish Sherriff’s Department, the 16th JDC District Attorney’s Office, and St. Mary Parish Hearing Officer Jill DeCourt to implement gun divestiture policies for people with qualifying protective orders against them or convictions of domestic abuse. Chez Hope is very proud of Miss. Robison’s work and dedication.